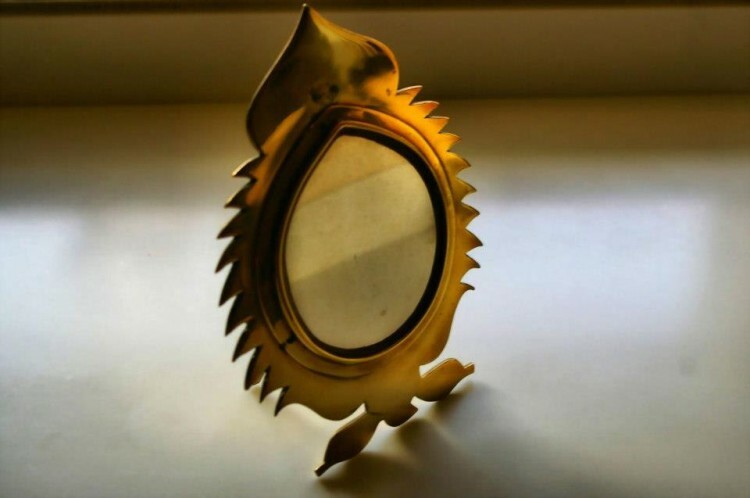 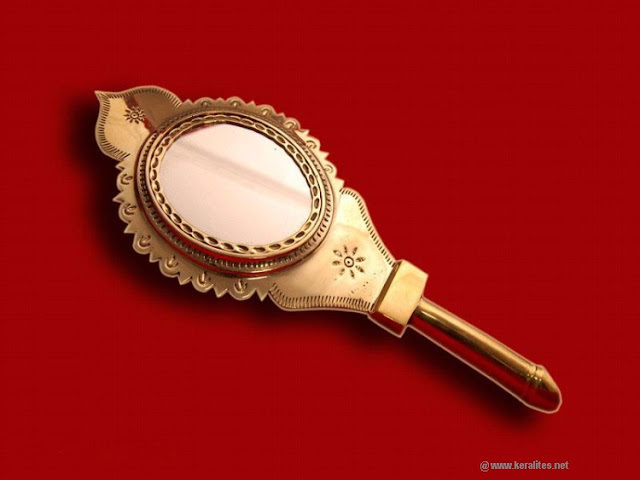 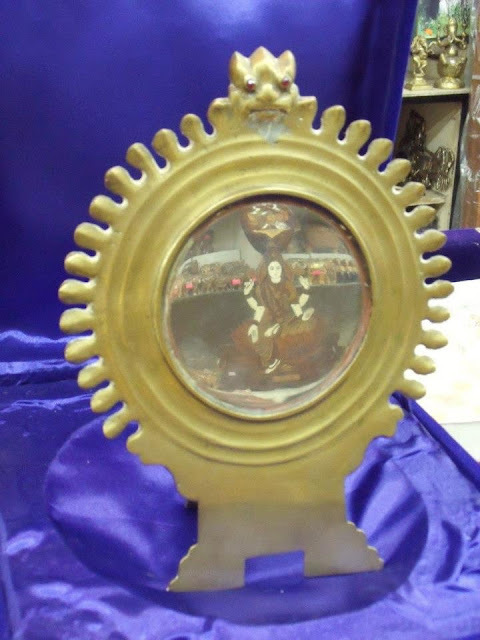 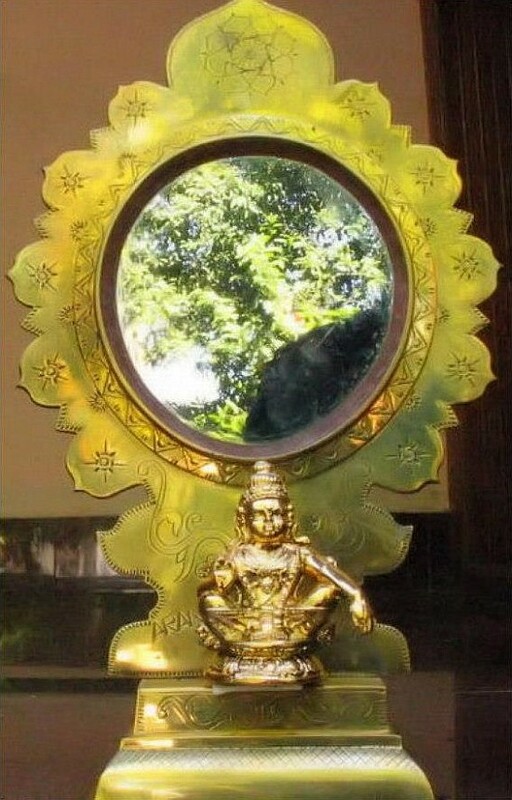 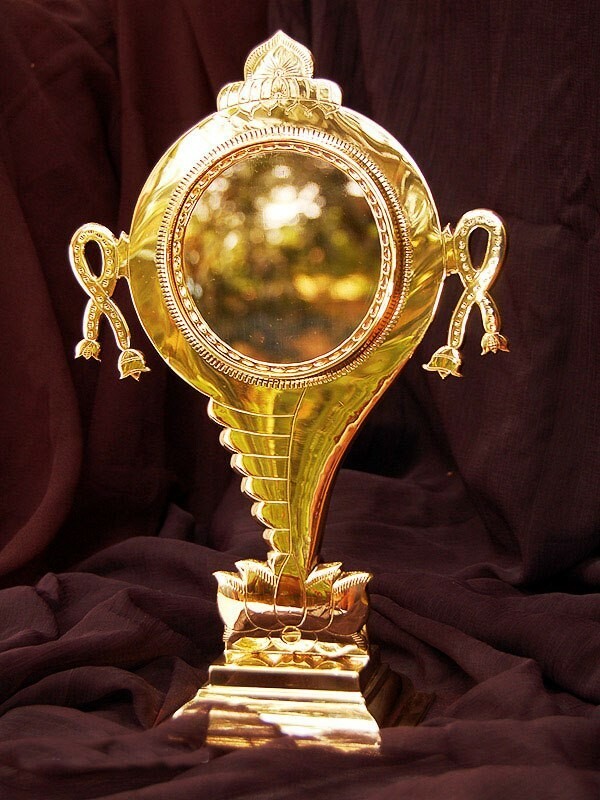 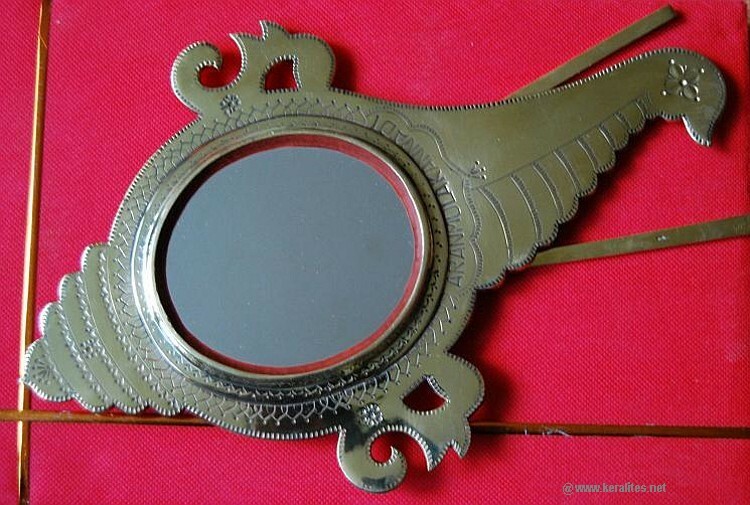 Aranmula kannadi (Aranmula mirror) is a handmade metal-alloy mirror, made in Aranmula, Pathamthitta, Kerala, India. Unlike the normal 'silvered' glass mirrors, being a metal-alloy mirror, it is a front surface reflection mirror, which eliminates secondary reflections and aberrations typical of back surface mirrors. 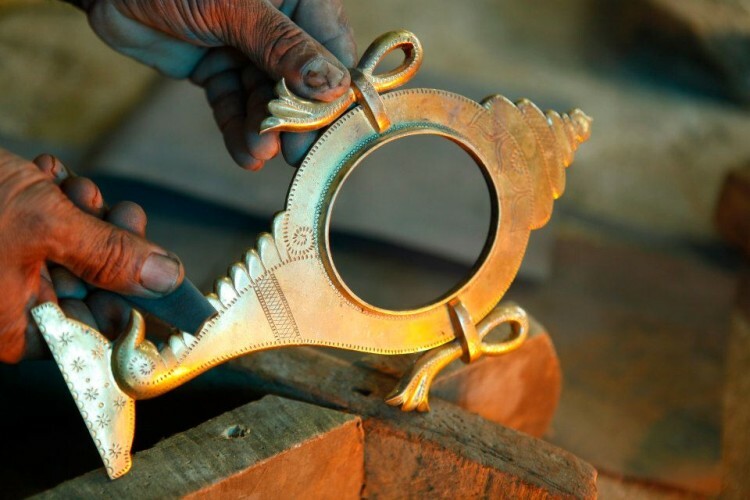 The exact metals used in the alloy are unknown to people and is maintained as a family secret; however metallurgists suggest the alloy to be a mix of copper and tin. 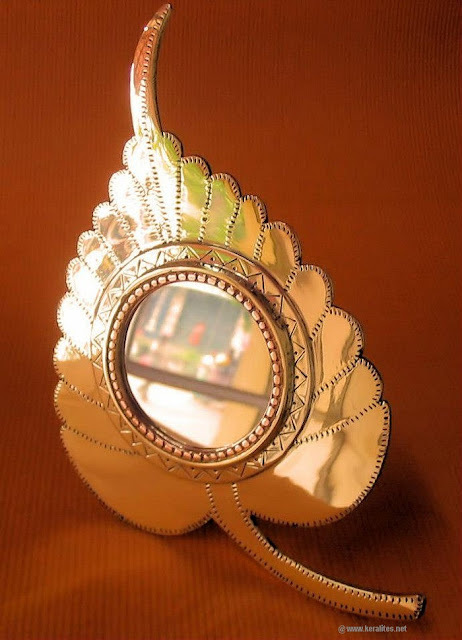 It is then polished for several days in a row to achieve their reflective surface. 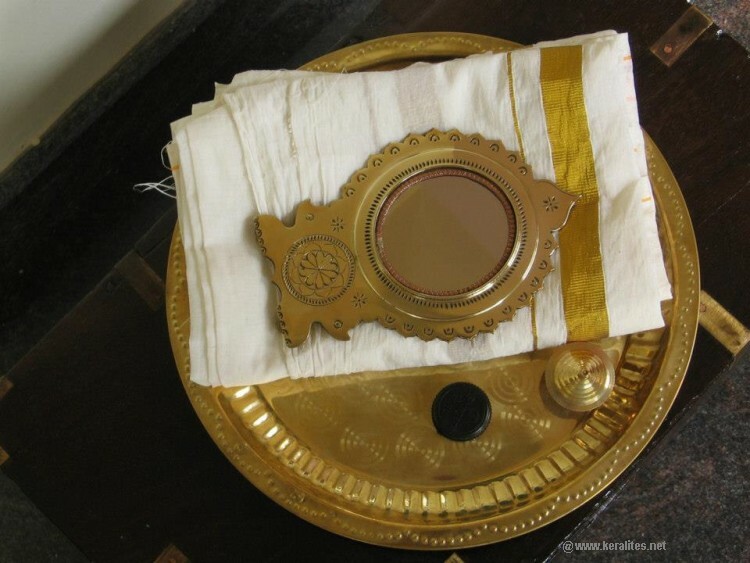 They are considered one among the eight auspicious items or “ashtamangalyam” that make up a Kerala bride’s trousseau. 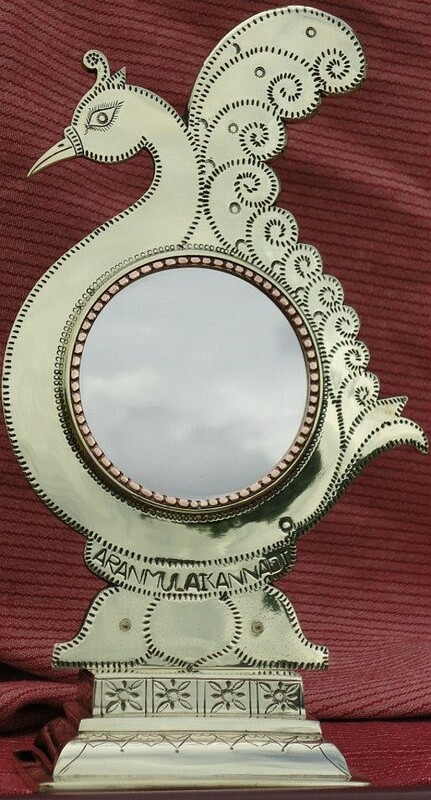 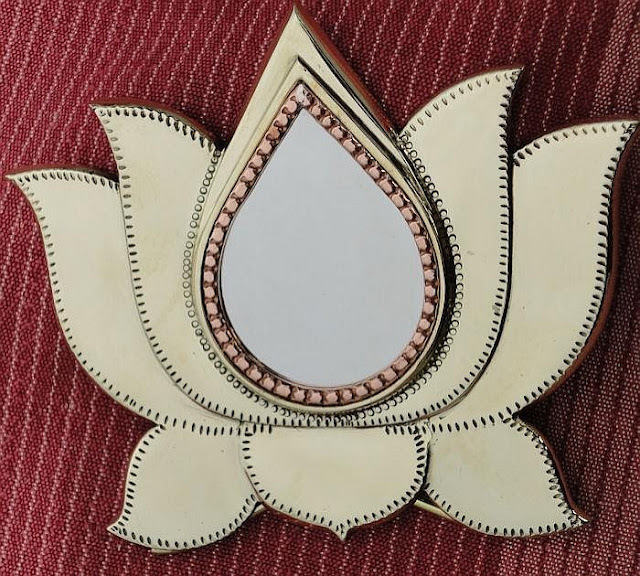 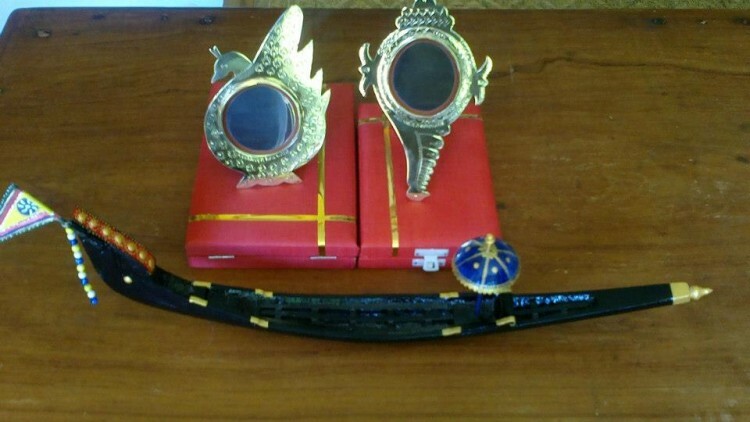 These unique metal mirrors are the result of Kerala's rich cultural and metallurgical traditions, and have great historical and cultural value and are even considered to bring good luck. Produced by a single extended family in Aranmula, the origins of the Aranmula kannadi are linked with the Aranmula Parthasarathy Temple. 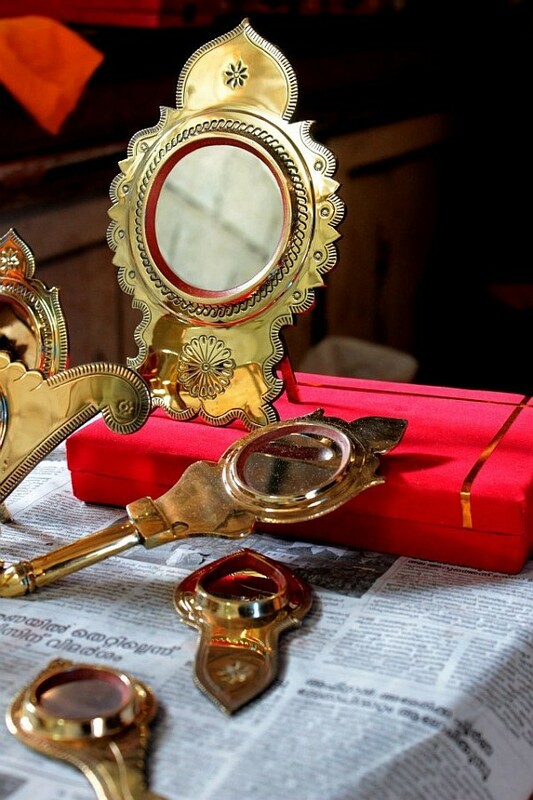 Legend has it that eight families of experts in temple arts and crafts were brought by the royal chief to Aranmula from Tirunelveli district to work in the Parthasarathy temple centuries ago on the mirrors.